On the international front, the business has won a major order in the Kingdom of Saudi Arabia for the construction of 115kV Substations with associated transmission lines and cable circuits. 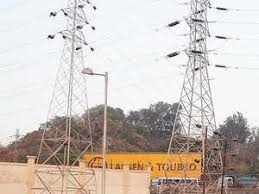 The Power Transmission and Distribution Business of L&T Construction has secured EPC orders worth Rs 2,084 crore. On the international front, the business has won a major order in the Kingdom of Saudi Arabia for the construction of 115kV Substations with associated transmission lines and cable circuits. Another order for 132kV cable works for a Substation has also been awarded in Dubai, UAE. EHV Substation orders have been received from reputed customers in Oman and Qatar. An order for a 275kV Substation order has been secured in the Sarawak state of Malaysia. On the domestic front, the business has secured EPC orders from reputed developers to build 235 MW of Solar Photovoltaic power projects in Tamil Nadu and Rajasthan. A one of its kind Solar photovoltaic plan, floating on a reservoir, will be implemented in Chittoor district of Andhra Pradesh, as a part of Tirupati Smart City mission. Another order for a Rural Electricity Infrastructure Development project under the DDUGJY scheme has been awarded in West Bengal.